The other day I made a series of tweets about DrivethruRPG’s New Year, New Game sale and put together a curated list of RPG’s in the sale that you should check out. Of course you can view that thread here, but I thought folks might appreciate the easier to read/navigate layout. I also cut it down to just 10 entries. Consider trying a tabletop role-playing (TRPG) game this year, I have something for everybody here: kids, adults, big groups or small, and even ones you can play by yourself! First up on the list is a game I’ve been very impressed with ever since I saw an interview with the creator, Justin Halliday. The video listed below is part 2 of that interview that specifically focuses on Hero Kids and running a game like this with kids. 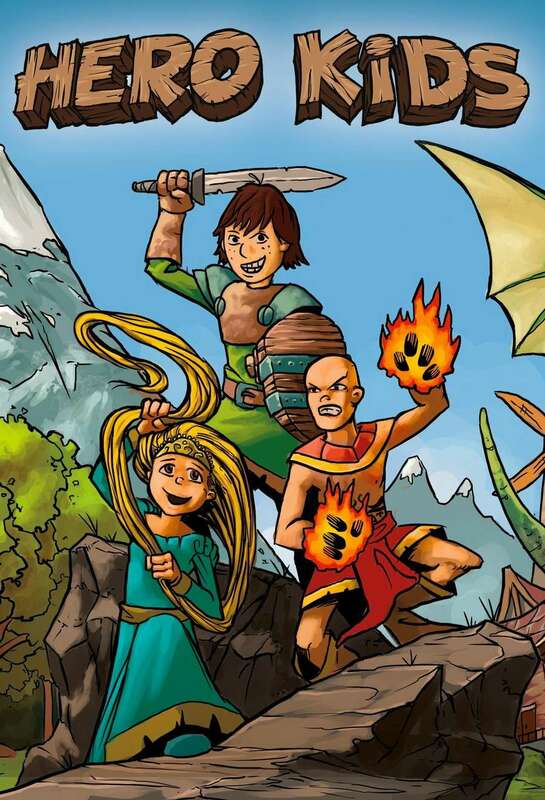 You should totally check out Hero Kids if you want to inspire kids’ imaginations with RPG’s. This system supports ages as young as 4 and all the way up to 10. After that you probably want something a little more advance, but this is the place to start otherwise. While there are other games that work well with kids, even in this sale, this one stands out to me for a few reasons. It comes with the freedom to allow more free-form storytelling while still keeping structure, encourages teamwork, and eases kids into more complex systems later down the road. It’s just really great and I’ll be running this with actual kids in just a few weeks so I’m really looking forward to it! After reading the rules and going over all of the stuff I got after my church gave me some budget to buy it, all I can say is, “wow!” The books are easy to read, relatively short (for an RPG book), and the sheer amount of stuff you get is simply amazing. Unfortunately, there was a yearly sale for teaching your kids not too long ago so the discount isn’t as steep as it was then, but at $4.19 for literally everything (plus you get a coupon if you decide you want physical books), this is a ridiculously good deal. Maybe the last entry was a little too kid focused. How about something that is great for adults too? 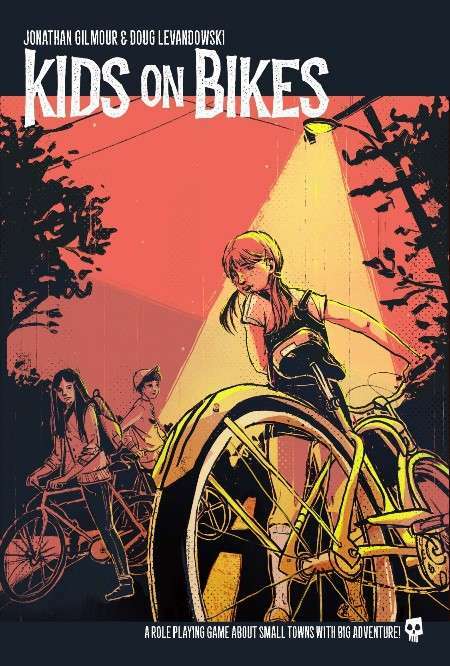 Look no further than Kids on Bikes. This system has been quickly climbing the ranks in the gaming community for its throwback to the ’80’s in a fashion akin to Stranger Things. Still simple enough to get older kids into and engaging enough for adults, the rules lite (60 page rulebook) game is sure to be a winner at your next gaming session. For $6.99 Kids on Bikes should offer a lot of bang for your buck. If you’d like more information click this highlighted section to be taken to the store page where everything is explained in great detail with wonderful art to boot! A recent pickup from the same teach your kids sale awhile back. However, don’t let that fool you. Beyond the Wall and Other Adventures is a throwback to old-school role-playing games but with modern design sensibilities. This means the game is relatively simple and laser focused at doing what it does extremely well. 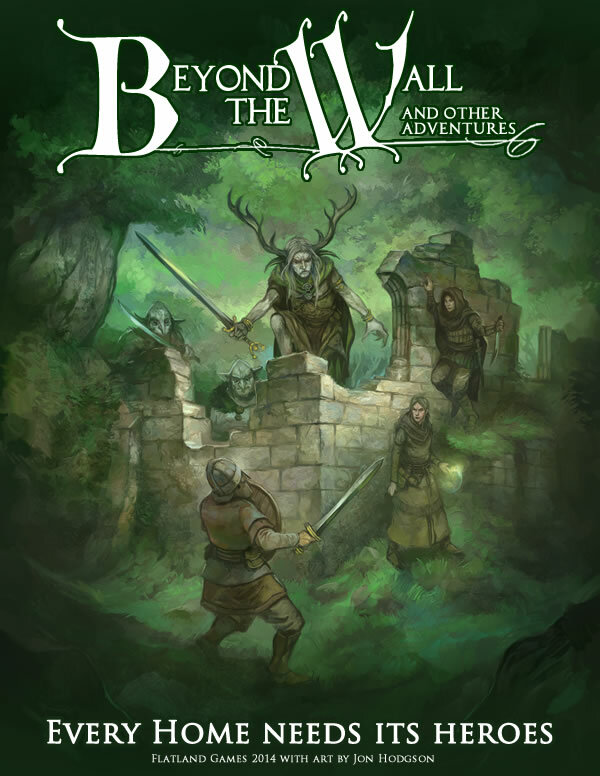 Beyond the Wall is perfect for nailing first-impressions to TRPG’s by having little prep time for game masters, built-in character connections, a starting hub, and more! Plus, if you love the game it is easy to transition to a campaign setting with its supplemental book, “Further Afield.” Did I mention it also has TONS of free resources too? For just over 5 bucks, you aren’t going to find many fantasy-style games that can sell why role-playing games are so great nearly as well as this one. Perfect for new GM’s and players alike. This is perhaps the most expansive entry on the list, and it does require you to invest in two books (about $27 combined), Dicovery and Destiny, but it is just such a cool game! I don’t really think I can do the game justice so be sure to check out the store pages for both Discovery and Destiny along with the provided video below. This may be worth it even as a piece of fiction, it is that interesting. 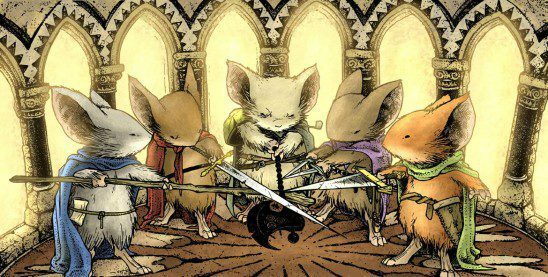 Don’t let appearances fool you, Mouse Guard is a fairly gritty game. If you want something more family-friendly, maybe look at the board game Mice and Mystics instead. This game is brought to you in part by the mind of Luke Crane, who is famous in the world of TRPG’s for his inventive designs. I’m not gonna lie, this is a complex game, but for those of you who want a lot of meat, this will deliver. For $13.99 you can’t do much better for a system as detailed as this. 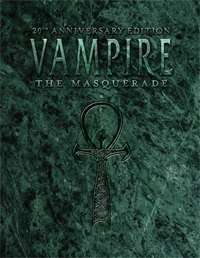 Have you been watching Geek and Sundry play Vampire: The Masquerade 5th Edition? If so, you may be itching to play this vampire game. While this ins’t the 5e version, it is one that is highly rated and normally way too expensive to recommend. However, with the discount it is worth getting into, especially if you want the luxurious hardcover book. Otherwise, the PDF is like $20, which is a really good deal for one of the best rated editions. Horror themed games just too much for you? 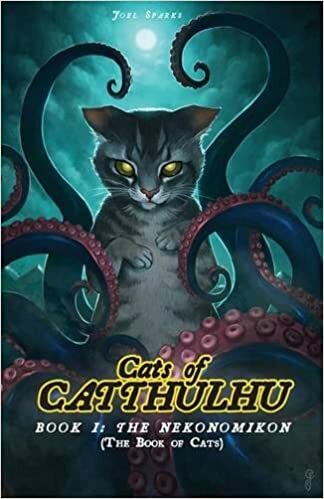 Then how about Cats of Catthuluhu? Perfect for cat lovers! Not going to lie, I saw this and thought that everyone needed to see it. I have no idea if it is good, how it plays, or anything really. However, for $3.47 I figure it is well worth the risk. There are additional books if this looks like your thing, and they are also cheap. If you get this title in particular, please be sure to contact me (with cat pictures?) and tell me how it went. I really would LOVE to see that! Do all of these other games sound like too much work? Don’t even know where to start with GM’ing, or what that is? Well, then do I have the perfect game for you in Annalise Final Edition. 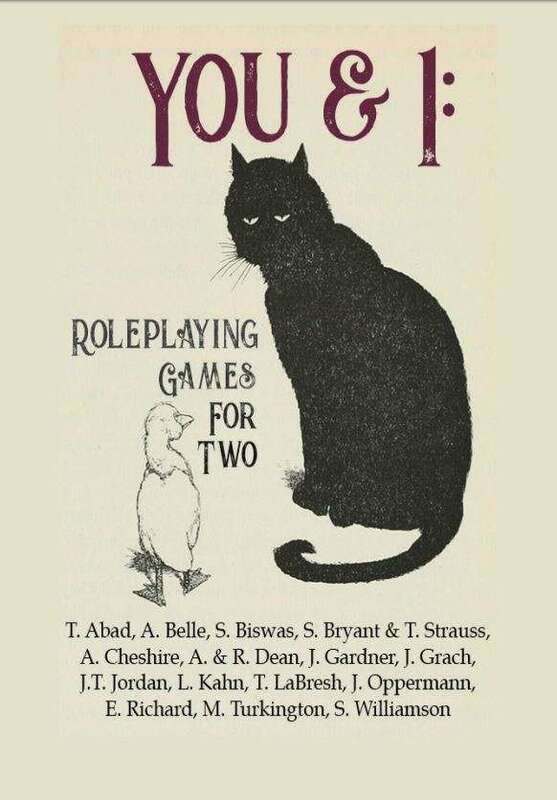 With your $7 purchase of the PDF all you need to do is grab a friend or two, pull it up, and start playing. Really, that’s it! You’ll be guided on a tale of Gothic horror with one of the six included scenarios. For a game like this, you may want to upgrade to the physical book + PDF combo for $15, but either way, this is sure to be a fun experience that you’ll not soon forget! Here’s a relative newcomer. I really don’t know much of anything about this book but if you are looking for something to do with your significant other, or when it is just you and one other friend, then this should fit the bill rather exactly. …perfect for friends, lovers, roommates, and weird first dates! I am very curious as to how a first date with this would go. That idea really amuses me. So you don’t have any friends to get together with? I feel for you. That’s why my next recommendation, the Lone Wolf Adventure Game, is perfect for you. While you can play with others, it is built so you can play all by yourself! For $13.27 the price is really good and you’ll get everything you need for hours of fun. It plays kind of like an old choose-your-own-adventure mixed with a modern day TRPG. Nearly everybody who has played it loves it and the story is really good so you’re practically guaranteed a great time! That’s it for today. Let me know if you pick any of these up and how your experience playing them goes. Additionally, what are your favorite TRPG’s to play if you’ve played some before? Let me know in the comments! If you’d like to support me you can do so by buying any of the items above via my links or by hitting my donation button. Thanks for stopping by and have a great day! Next ›The wordpress anime awards 2018: Ladies and Gentlemen, the results are in!